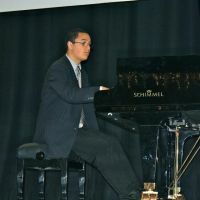 Additional Info: Younger pianist with a reasonable amount of experience playing for all sorts of rehearsals and choirs. Love musical theatre and the repertoire and working with choirs both as pianist or as director. As a rule I charge $40 and hour or $30 for half an hour.